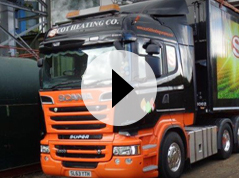 Scot Heating Company specialises in the supply to businesses of Biomass Heating Systems and in the provision of high quality, sustainable, renewable Biofuel for heating. Based near Stirling, we are ideally placed to supply you with a new renewable source of energy for your heating needs wherever you are. 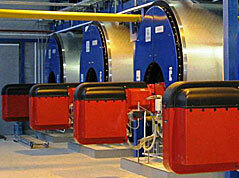 Our complete renewable energy solutions are highly cost-efficient. Most businesses find that the fuel for our biomass boilers are more economical than the oil and gas they currently rely on. The good news doesn’t end there: not only can we lower your business’ heating bills, our energy efficient systems can also help to greatly reduce your carbon footprint. Our customers want a one-stop-shop renewable energy solution. 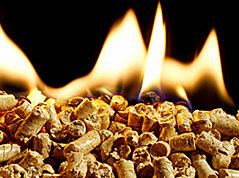 We may even cover the cost of the boiler installation – saving you up to £250,000. We can also take care of all the planning and building control permits in-house, as well as managing any civil or building works that may be required. 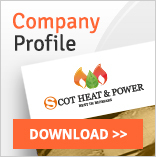 Choose Scot Heating Company and you will be guided and fully supported throughout the entire process, from the initial site survey and bespoke installation, through to regular system checks and maintenance. What’s more, because we combine our fuel source from some of our own sustainable woodlands, farms and partners we can guarantee the fuel supply for the term of the contract. 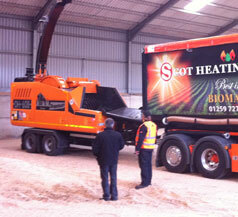 The Scot Heating Company – simplifying your switch to renewable energy. Aiming to save 25% on your heating bill.